With the increasing demands in our daily lives, the need to work hard also amplifies – overtimes, no days off, and even opting not to file a sick leave even though you really need it. Aside from work obligations, we also have responsibilities at home with our loved ones. The struggle to juggle these responsibilities is not always easy. Therefore, as time went by, people invented machines and found new ways to alleviate human’s dilemma – cellular phones were invented to make communication easier, mobile vehicles provided a means for convenient transportation, and the ability to send pictures using our gadgets gave us an edge with real time visual information. With regards to family care, the medical field also created ways to help people in taking care for the needs of their loved. Thus, nursing facilities and home care were developed. 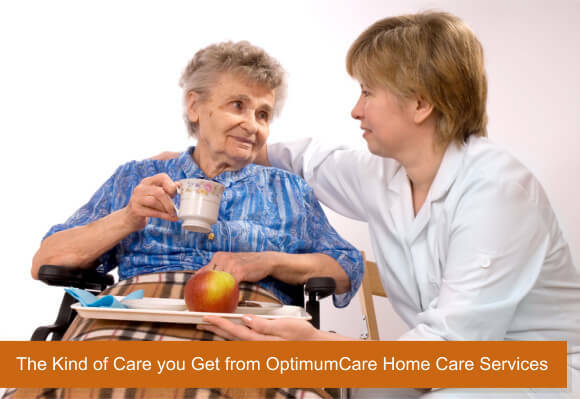 If you’re looking for a non-medical home care in Greensboro Drive McLean VA and Opitz Boulevard Woodbridge VA, look no further – OptimumCare Home Care Services has it all.